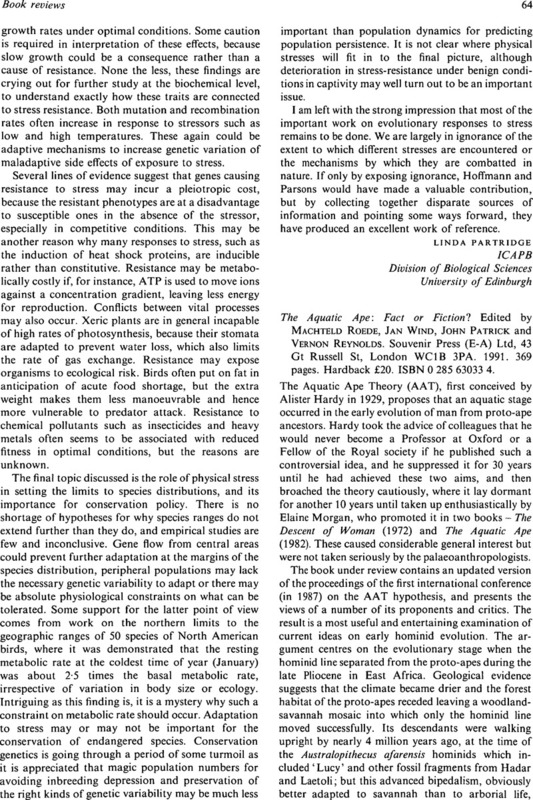 The Aquatic Ape: Fact or Fiction? Edited by Machteld Roede, Jan Wind, John Patrick and Vernon Reynolds. Souvenir Press (E-A) Ltd, 43 Gt Russell St, London WC1B 3PA. 1991. 369 pages. Hardback £20. ISBN 0 285 63033 4.